Tim Paino was born in Evansville, IN, and moved to Indianapolis in 1955. He currently lives on the west side in Avon. Tim graduated from Evangel College in Springfield, MO in 1974 with a BA degree in Accounting and Business Management. Tim has been married to Jo-Ann for 43 years; and has two married sons, five grandchildren, and three step-grandchildren. He spent a great amount of time his first thirty-five years as a Health Facility Administrator managing and developing independent, assisted living and long-term care facilities. Tim became a general contractor in 1993 to construct the homes in a senior community that he was developing. 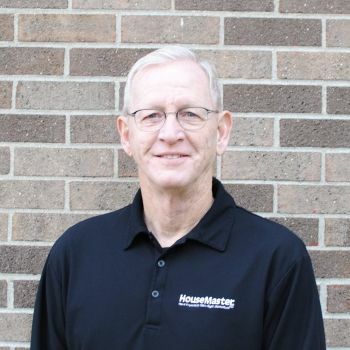 In 2010, he earned his Home Inspector License and purchased the local HouseMaster Franchise. His involvement in missions has taken him to 19 countries around the world investing, overseeing and building church-related buildings. Currently, Tim serves on the boards of Community Reinvestment Foundation (CRF) that owns and manages over 2,500 low-income apartments, and PRIME Ministries that manages 116 units of low-income senior housing, and ActioNow which has assisted in the construction of over 100 mission projects and raised over $20 million in the past 20 years, and served as a Trustee for Crossroads Church of Avon. Tim is also a partner with his wife and older son, Brady, in Paino Property Group which owns and manages commercial property. Tim spends the majority of his time working along with my younger son, Trent, and wife in their partnership, HouseMaster Home Inspections.